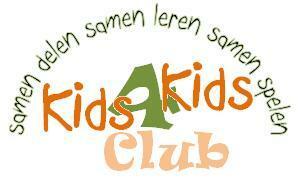 ← Kids4Kids Club : We want to help Haiti ! Official stamping – A STEP AHEAD ! On the 4th of March 2010, The Stichting Lingua Franca Foundation has received an official Piccolingo Campaign for early foreign language learning certificate. This Foundation has shown great interest in supporting and encouraging parents in exposing their children to language diversity! We believe that at a very early age, children are able to enjoy learning diverse languages and at the same time, gaining knowledge of other cultures and belief – hopefully this will create a new perspective over tolerance, acceptance and mutual respect amongst the younger generation. Because of this great interest, the Foundation has created a club for kids – which one of the objectives is – to also initiate such project among children. It is also another approach to reach out to all types of children despite their nationality, race and religion. What more of a better way than children reaching out to other children? They can learn to encourage and support each other – giving hand to-hand guidance – while having fun together and getting to know one another more thoroughly and put aside their differences to find a common ground between them so that they can live in a more harmonious way. So, there it is! It’s now OFFICIAL ! The Stichting Lingua Franca Foundation is now a member and supporter of the Piccolingo Campaign. For your information, the Piccolingo Campaign is an initiative from the European Union under Education and Culture DG. Marco Bertolini, the co-Founder of Lingua Franca Foundation, has been appointed as a supporter for the Piccolingo Campaign for Belgium from PICCOLINGO. This entry was posted in communication, Cultural diversity, Early learning, Kids 4 Kids, Language learning, Projects, Uncategorized and tagged acceptance, Brussels, child, children, club, Cultural diversity, Early learning, East/West, Europe, expert, family, first steps, foundation, Kids for Kids, language, Language learning, learning, Lifestyle, mutual respect, pedagogy, piccolingo, preschool children, project, reaching out, Social, tolerance. Bookmark the permalink.